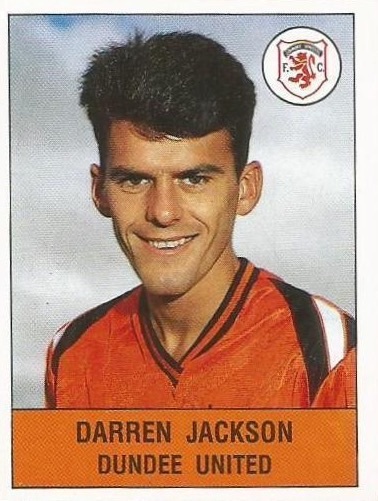 Darren began his career at Meadowbank Thistle before moving to Newcastle United. 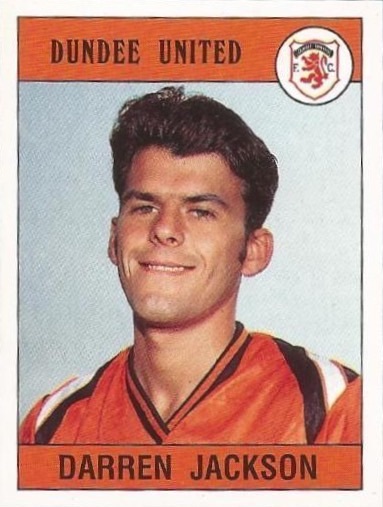 He was a Scotland Under-21 player when Dundee United signed him and went on to become a full international. Four minutes into his debut, he was injured and then missed the rest of the season. 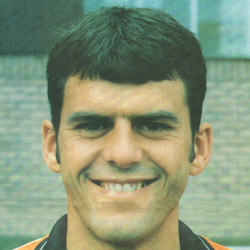 After recovering, he was back in the side by July 1989 and became a regular in the line up over the next three years. 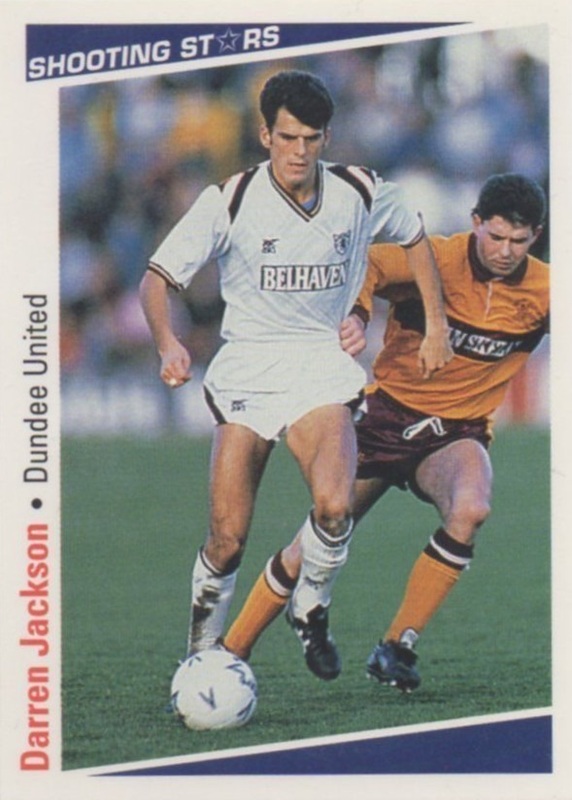 He was top scorer in 1990-91 and collected a runners-up medal Scottish Cup final that year. 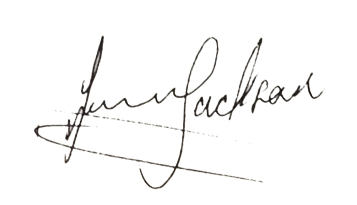 In July 1992 he moved to Hibs for a fee later set by tribunal at £400,000. After a spell as a football agent, Darren returned to United as a First Team Coach under manager Jackie McNamara in February 2013. Darren was born on this date in Edinburgh. Celtic's third visit of the season proved no more profitable than their previous two as we defeated them for the third time without having lost a goal in the process. At the same time it stretched our unbeaten run to 10 games. Scotland's last remaining European survivors met earlier than scheduled due to Scotland's World Cup tie with Norway. Most of the action too was confined to the early stages. Dave Bowman had a shot on goal after only 15 seconds and we took the lead with less than three minutes on the clock. The goal was a personal disaster for Hibs 'keeper and skipper Andy Goram. 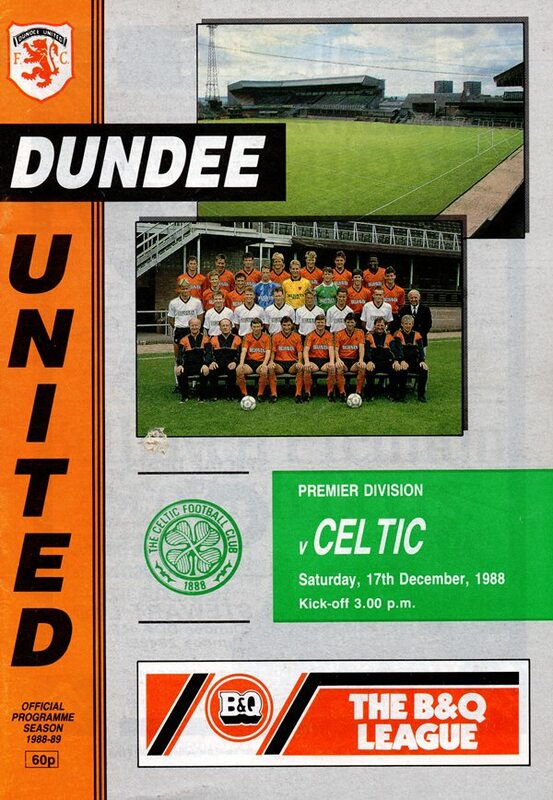 Maurice Malpas hit a fairly innocuous looking shot, but Goram diving forward, let the ball slip from his grasp and Darren Jackson nipped in to strike the ball home for his first goal for the club. The former Newcastle midfielder hasn't enjoyed the best of luck since coming to Tannadice and this unfortunate trend continued when he was injured as Goram punched clear and landed on Darren, who eventually had to hobble off three minutes later. 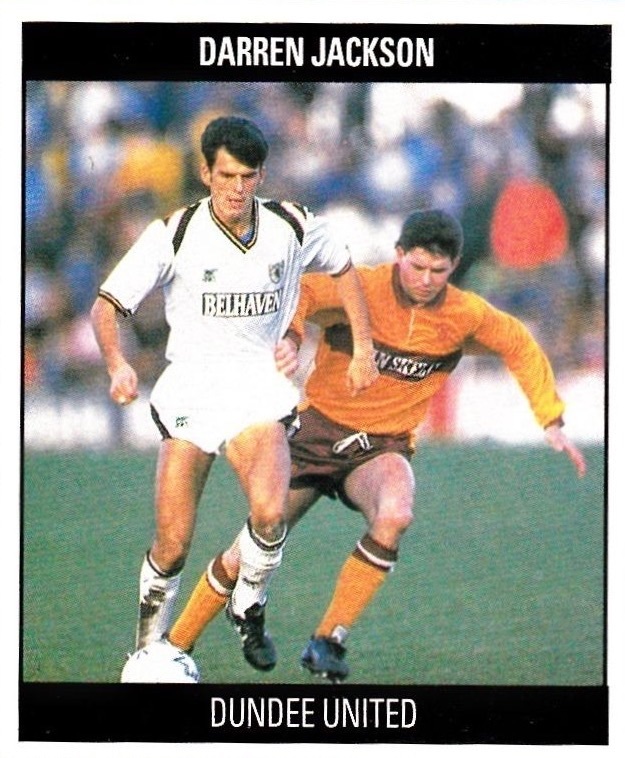 The game was interrupted by a series of niggling fouls which led to bookings for Paul Kane, Billy McKinlay and Miodrag Krivokapic, but Collins did go close for Hibs with a dipping volley which went narrowly over. Maurice Malpas had another couple of pots at goal early in the second half, but this time there was no repeat of Goram's earlier blunder. The same eleven who had earned both points at Brockville were entrusted with the task of trying to breakdown an Airdrie defence which hadn't conceded a goal in their last three outings. That proud record was almost dented in the fifth minute when Dave Bowman got in behind the Diamonds defence and cut the ball back from the bye-line, but Duncan Ferguson shot over the bar. Airdrie replied in the twelfth minute when Boyle controlled a Kirkwood cross and hit an angled shot across the face of the goal and past the far post. Such goalmouth action wasn't to set the trend of a match which was for the most part, a story of near complete territorially ascendancy by United against a defiant and resolute Airdrie defence.